Tonight was the first time I have ever used fresh ginger root. I have always used ginger powder or dried ginger root and finely grated it. I saw a cooking show that showed how you can peel the ginger root, put it in a plastic bag, and into the freezer. When you need some fresh ginger, just take out the root and grate what you need. I loved the idea! So, I got out my microplaner (a favorite tool for citrus rinds) and grated my peeled ginger root. I was surprised not to see it come out from under the grater, but when I tapped the planer over my sauce, what looked like a paste came out. Maybe it was ground to fine...I don't know. All I know is that I grated 1/4" of the root and the sauce turned out great! There is NO comparison between the dried and fresh! There was a brighter, sweeter aroma and it tasted so good! Anybody want my leftover dried ginger? You can make the sauce alone, thicken it on the stove top and use it as a glaze to brush grilled chicken. It is also good as a marinade for grilled chicken, though I think this oven version is a good combination of both and less time consuming! I usually serve this over a short grain Japanese rice. Tonight, I used the long grain. It was good, but not the same. I love the tender, sticky Basmati rice with Japanese foods. In a 1.5 quart glass baking dish, combine the sugar, soy sauce, ketchup, ginger, and cornstarch. Mix until well dissolved. Add chicken pieces. Marinate overnight, at least 8 hours. Bake, covered, at 350 degree oven for 1 hour. Uncover last 10 minutes for browning. Grill over hot grill for 15-20 minutes, turning chicken over every 5 minutes to prevent burning. My husband will LOVE this meal. He orders teriyaki chicken whenever we dine out. Thanks for the homemade version! 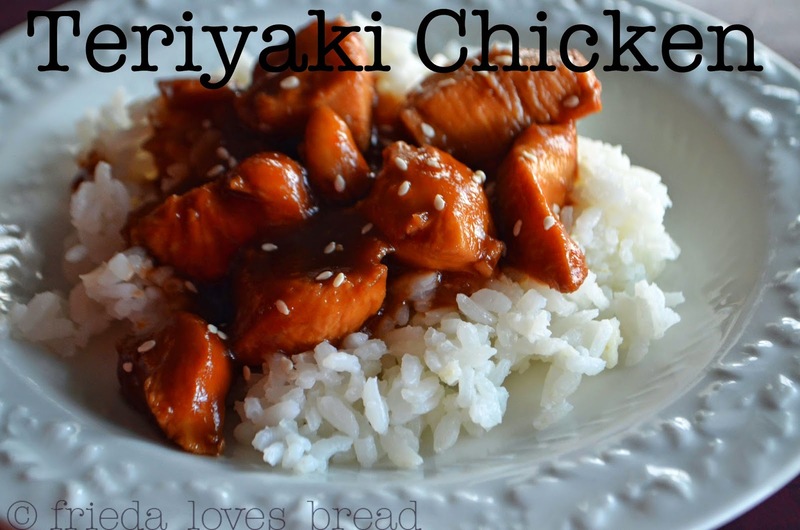 Like Melanie, my husband adores teriyaki chicken. I will have to make it for him! I wanted to like this recipe but it was too much like a quick, homemade BBQ sauce. I even added more soy, pepper, onion powder, garlic powder, and Sriracha. All I tasted was ketchup. If it wasn't raining I'd have put it on the grill...maybe it will taste better grilled. I do like this better marinated in this sauce and grilled. I just re-checked the recipe and the original calls for 7T. ketchup, which is NOT quite 1/2 cup as stated in the recipe. The post and link have been changed to reflect the change to 7 Tablespoons. If it is still too ketchup-y for you, you can always reduce it and add more soy sauce. Ketchup flavors vary from brand to brand and can make a difference in the taste.